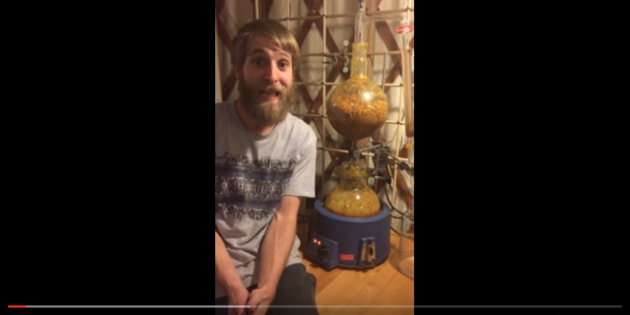 In this video I elaborate on the essential oil distillation process in the spagyric method. This example here is a little different from standard, as we were doing both a hydrodistillation and steam distillation at the same time (we had a lot of plant material!). Here’s a closeup of the hydrosol dripping out and collecting oil!